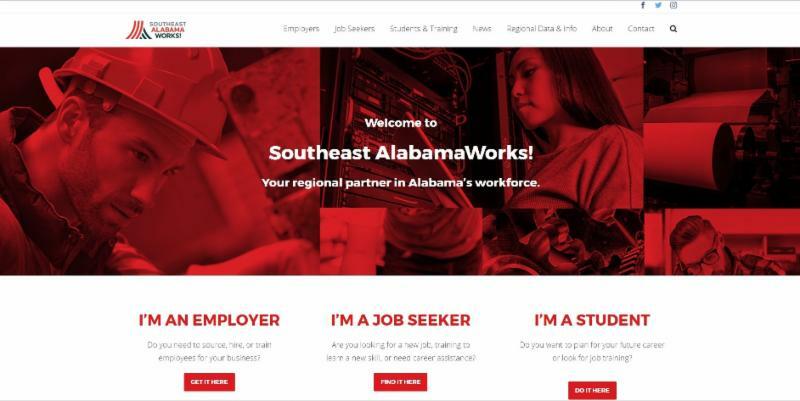 Reminder: Southeast AlabamaWorks! Quarterly Summit - Southeast AlabamaWorks! Tuesday, September 26th at 2 p.m.
We will be meeting at the Lurleen B. Wallace Community College – MacArthur Campus. The physical address is 1708 N Main St, Opp, AL 36467. We will be updating all partners on workforce development training programs and opportunities in the region and more. Are you coming to the September Quarterly Summit? Click the button below to download the DRAFT Agenda for the September Workforce Development Summit . Click the button below to download the July Quarterly Workforce Development Summit Minutes. Our 8th grade hands-on career experience has gone through a name change but it’s still the same great event! Almost 6,000 eighth grade students and hundreds of high school juniors and seniors from counties and cities across Southeast Alabama, Southwest Georgia, and Northwest Florida will attend this inspiring event which features hands-on, interactive activities from over 80 different career fields. The WOW experience is a great opportunity for students to take the first steps in planning for his or her future. There are many companies that offer very competitive wages but to be considered for those positions, the workforce must be educated and have the other necessary skills to qualify. In today’s market, fifty-seven percent of the jobs require an associate degree or advanced training. Through Southeast Worlds of Work, we can help the students be prepared to select the best education options for them. At our January Quarterly Workforce Development Summit, the last question on the digital sign asked about receiving updates and reminders about Southeast AlabamaWorks via text message. Well, the overwhelming majority of 90% responded with a Yes! Therefore, we have created that service for you. You can actually receive the updates two ways: text or via the Remind app. Please follow the instructions below or click the button for instructions via PDF. Please sign up! You don’t want to miss our updates! Our website is live, please visit for more information!